Helmsley Charitable Trust will place full-page ads of Israeli Declaration of Independence in the New York Times and USA Today on Monday. The Helmsley Charitable Trust will fund full-page ads of the Israeli Declaration of Independence in the New York Times and USA Today on Monday, in time for Israel's Independence Day. 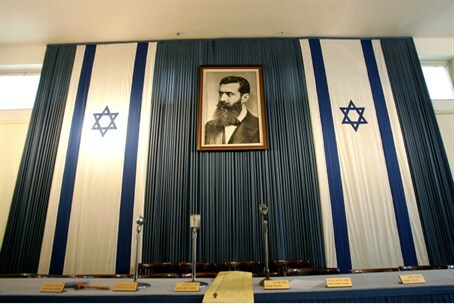 The ad, which will run in the major American papers and features the declaration's opening words "the Land of Israel was the birthplace of the Jewish people," can be seen here. “The Declaration of Independence, with the rights it guarantees for all of Israel’s citizens, is unique among Middle Eastern countries and much of the world," said Helmsley trustee Sandor Frankel. Frankel spoke of the reasoning for the ad, saying "many people are indifferent to Israel, unaware of its history... By publishing Israel’s founding document in two of the most widely read newspapers across the country, we will reach many Americans who often don’t have the chance to learn about the deep similarities between our countries due to media coverage that focuses primarily on conflict." The ads will also be distributed as an educational tool by the Conference of Presidents of Major American Jewish Organizations. The promises in the Declaration of Independence to have a Jewish state with political equality for all citizens, while guaranteeing full freedoms for all "resonates with America’s own deepest values,” added Frankel. Regarding Israel's status as the Jewish state, Prime Minister Binyamin Netanyahu on Thursday announced his intention to submit a new Basic Law, enshrining the State of Israel's status as the nation-state of the Jewish people. “At a time when Israel’s legitimacy and policies are under assault, it is of great importance to remind people of Israel’s founding document that enumerates the principles upon which Israel was founded and which continue to operate as its guiding principles,” concluded Frankel. The Helmsley Trust started awarding grants to Israel in 2009, and since then has invested over $110 million into Israeli organizations, largely scientific and technological research institutions.